Seriously, I am one of the only people I know that could go spend time in beautiful sunny Southern California (we're talkin' temperatures in the mid-80's people) and come home with a wicked head cold. I mean seriously, how does one do that? 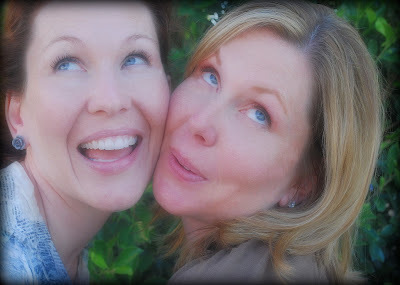 I'm pretty useless right now...so I'm just going to leave you with these fun pics the hubby took of me and my beautiful sister. A true depiction of our quirky personalities. Behaving ourselves for the camera. Gotta get some rest so I can look half-way human...as opposed to having a red nose and weepy eyes...when the Princess and I get our pictures taken at our Thirty Strangers photo session this Friday. And just a reminder that you can catch my interview on FaveCrafts radio coming up April 25th. You poor thing!! Yes the weather was gorgeous here! Rained a little this morning but now the suns out again! Hope you feel better soon! Get well soon! It is awful having those wicked head colds! TLC that is what you need! Lots of fluids, lots of rest! With 4 kids I know how easy that is?! LOL! SoCal colds come from one place: the airplane! That would be me too, every time we travel or get ready to I get sick! You and your sister are so cute! Hope you're feeling better soon! 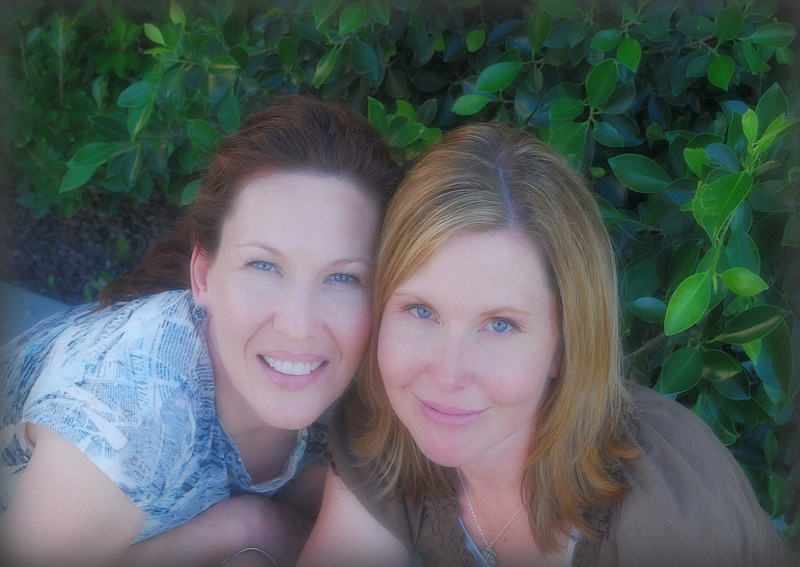 Love the pics of you & your sis, you both look lovely!! I hope you feel better soon. We have the same luck. It seems I nearly always get sick when I travel. Rest up and God bless. The pictures are very pretty!! Hope you are well soon! Beautiful pics! Feel better soon! Awww, great pics! Sorry you got a cold, and hope you were still able to enjoy the trip and feel better soon! Ahhh. Such sweet photos! Feel better soon! What cute photo's!!! You must've escaped before our yucky weather hit, it rained yesterday and very chilly today. I hope you'll be feeling better soon. We're having a gorgeous afternoon in Washington..at least at this moment! Love your sis pics! Beautiful photos and rest up!! Feel better very soon!!! The photos of you and your sister make me smile.. I just put my sister on a plane home. (saudi arabia).. she comes each year for the winter but I sure miss her the rest of the year! I love the pictures. I am going to steal them, ok? I am sorry that you caught the gamboo... (as mom would say). Maybe if you had tried to get just a little more sleep while you were here...;);).